Explore galleries capturing the day-to-day lives of some of our students across the globe! Open a picture and hover over to read captions. 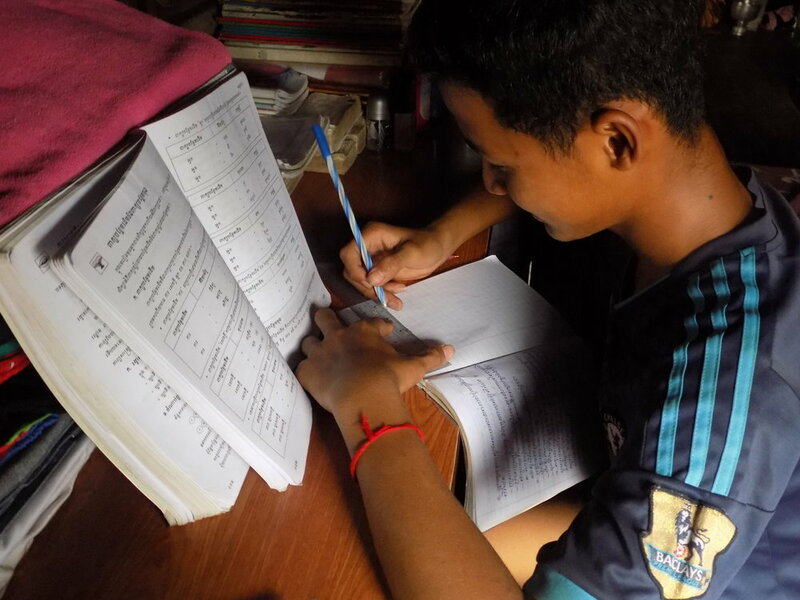 Follow Narak, a 14 year-old boy from Koh Khel, Cambodia as he goes through his daily routine. Click through the gallery to follow Narak's day. Narak wakes up early in the morning for school. Thankfully, Narak does not live far from school and rides his bike there every morning. Narak gets ready in the morning by taking a shower and washing his face. This is Koh Khel Secondary School. Jumping rope games are a favorite pastime for students. Koh Khel Secondary School is located right next to the village's pagoda. Most people in the village practice Buddhism. Sometimes after school in the morning, Narak goes to the pagoda to pray or to see some of his friends perform. 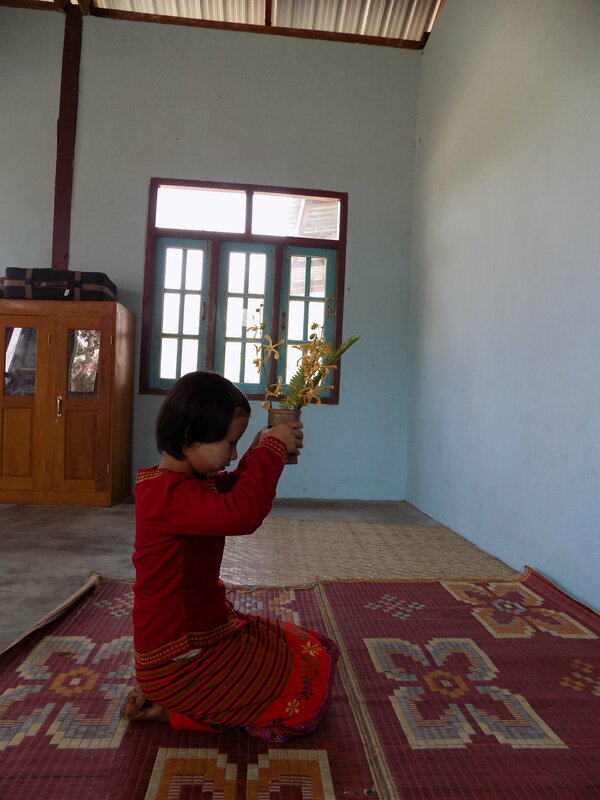 This is one of Narak's friends performing a traditional Khmer dance at the pagoda. Women of the village visit the shrine to Buddha. This is one of Narak's friends, David. In the evening, Narak helps cook dinner for his family. One of his favorite recipes is fried rice with chicken! After dinner, Narak and his friends attend more classes to practice their English. Before he goes to bed, Narak does his homework. Finally, it's time for bed. 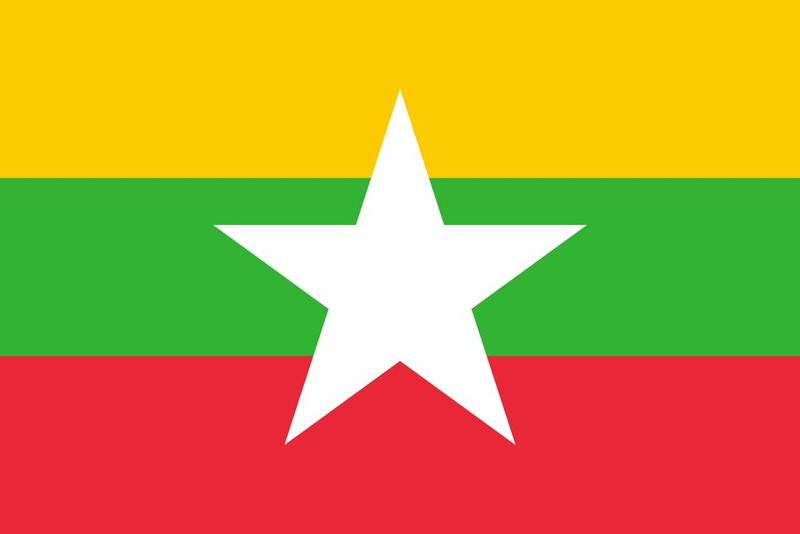 Explore the story of Nung Lao Ngun, an 11 year-old student at Paw Myar Elementary School in Western Myanmar. 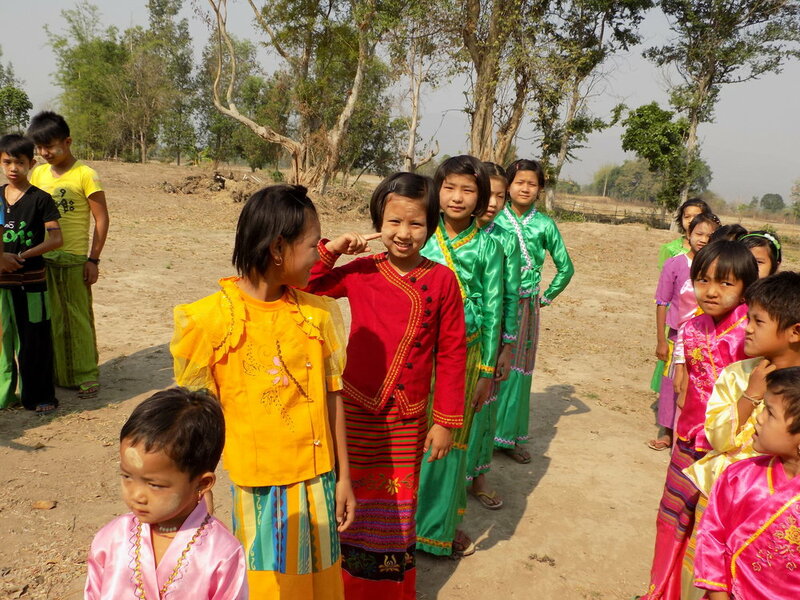 Click on the photo series below to follow a typical day for Nung Lao Ngun. 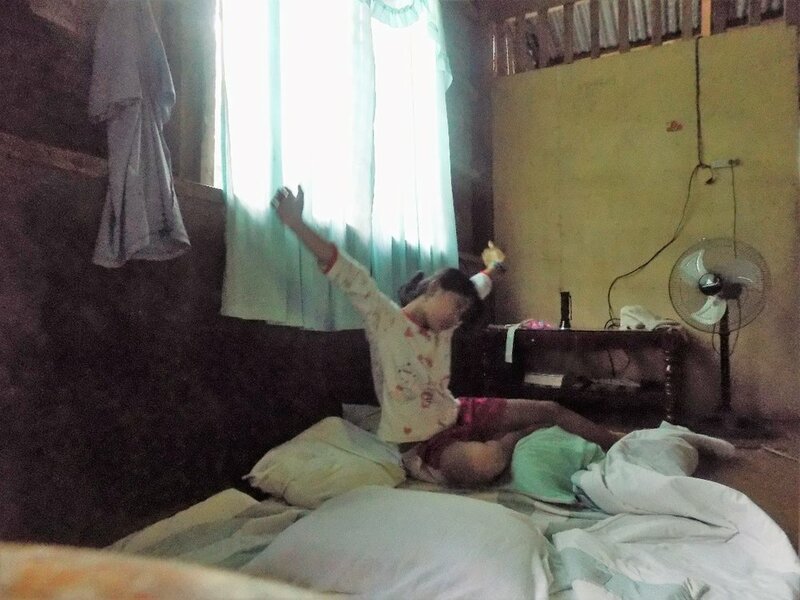 Nung Lao Ngun wakes up early for school. Nung Lao Ngun washes her face and then puts on a makeup called Thanaka. It is used as a sunscreen and helps improve one's complexion and keep the skin cool. Thanaka is worn by boys and girls. Nung Lao Ngun walks to school. After she gets to school she performs her morning prayers. 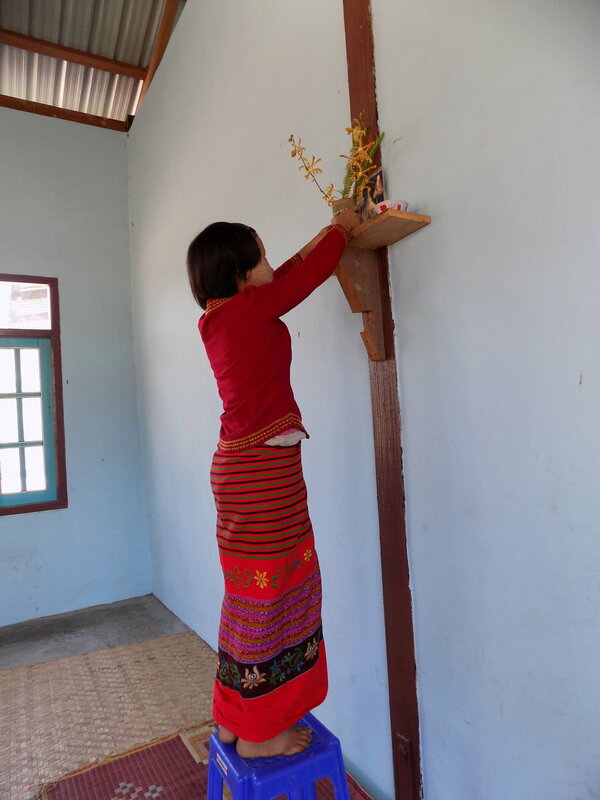 She is Buddhist and prepares flowers for the altar. After prayers she cleans the school with her friends. She and her friends clean the outside of the school as well! 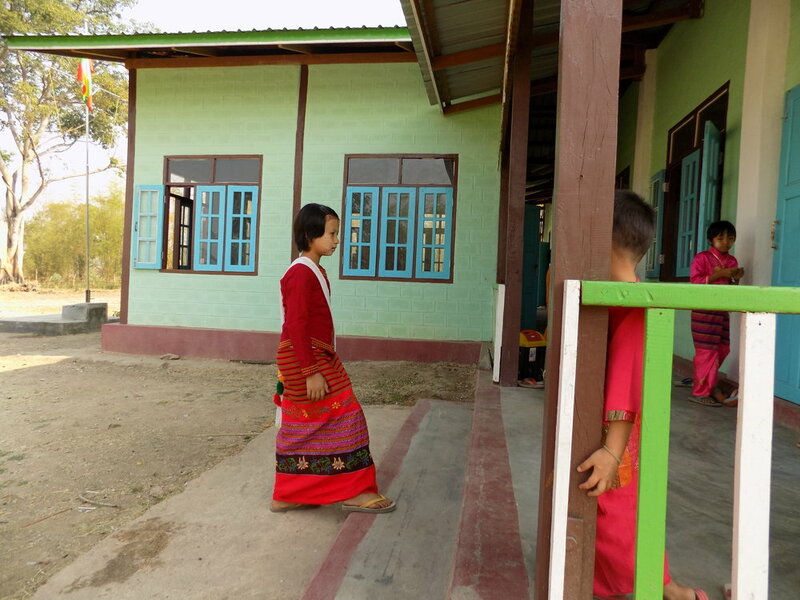 From ages 4-13, 41 students attend Paw Myar Primary School. Children like to play jump rope games! 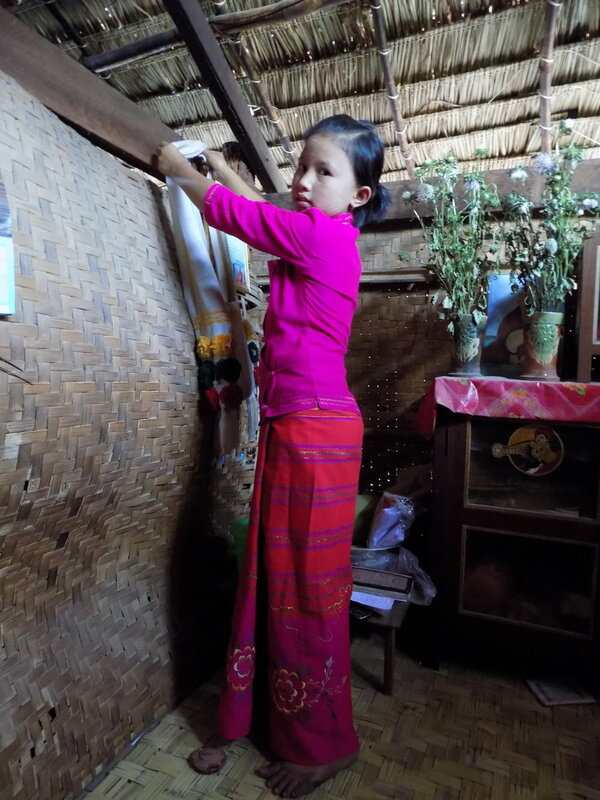 Nung Lao Ngun has four other people in her family: her mother, father, older sister, and younger brother. 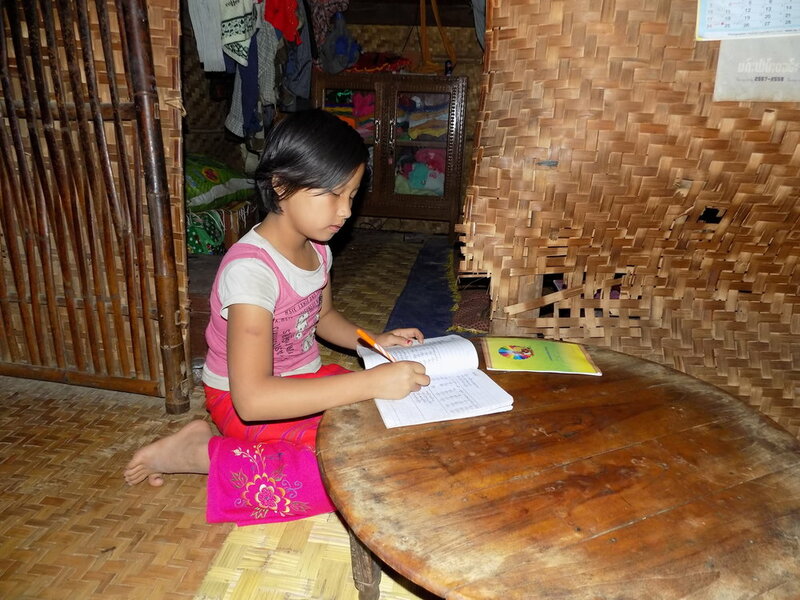 Nung Lao Ngun does her homework after she finishes dinner. 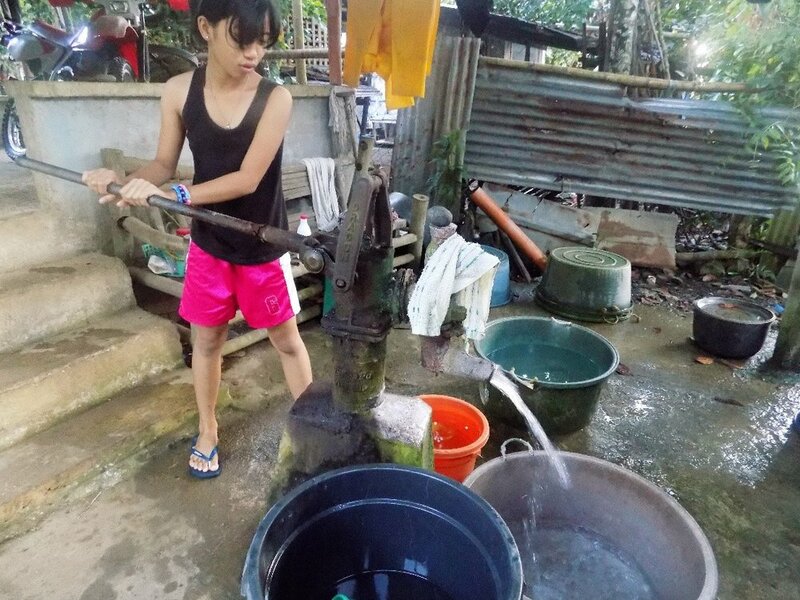 Meet Kimberly, a 12 year-old girl from Bunga on Panay island in the Philippines! Click on the photo series below to see what a typical day for Kimberly is like. This is Kimberly. She wakes up at 5 a.m. for school. Kimberly is going to take a bath. Kimberly takes a bath using a "tabo." Kimberly delightfully eats the foods her mother prepared for breakfast. Kimberly brushes her teeth after eating. 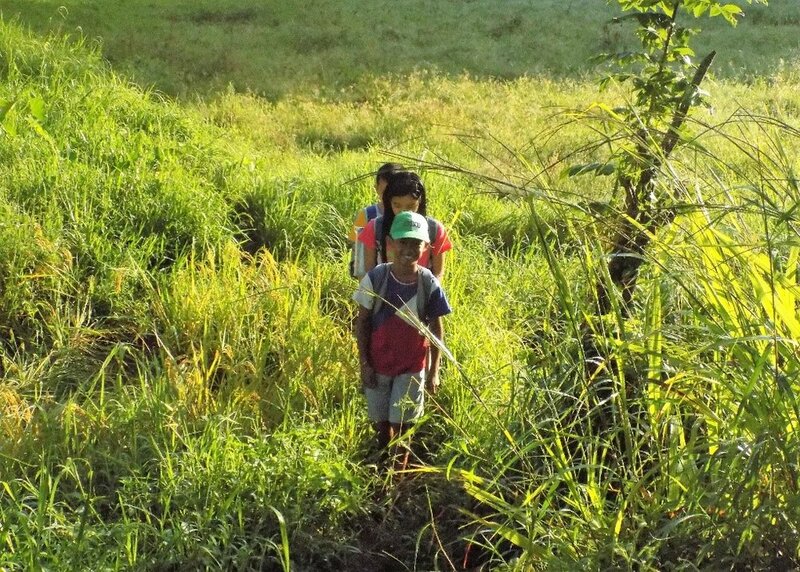 Kimberly is on her way to school together with her friends and relatives, June Mark and Harvy. They pass on a grassy, narrow way in order to reach the school. After an hour of walking, they finally reach Angelo Llorente Elementary School. Upon reaching home, she changes and wears house clothes and then cooks rice for dinner. Then Kimberly studies her lessons and does her school assignments. 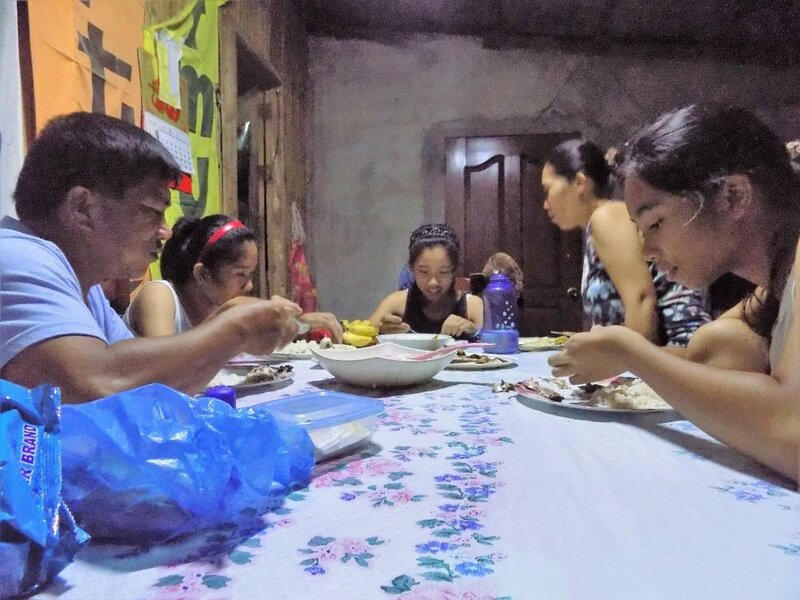 Kimberly eats dinner together with her family of five. 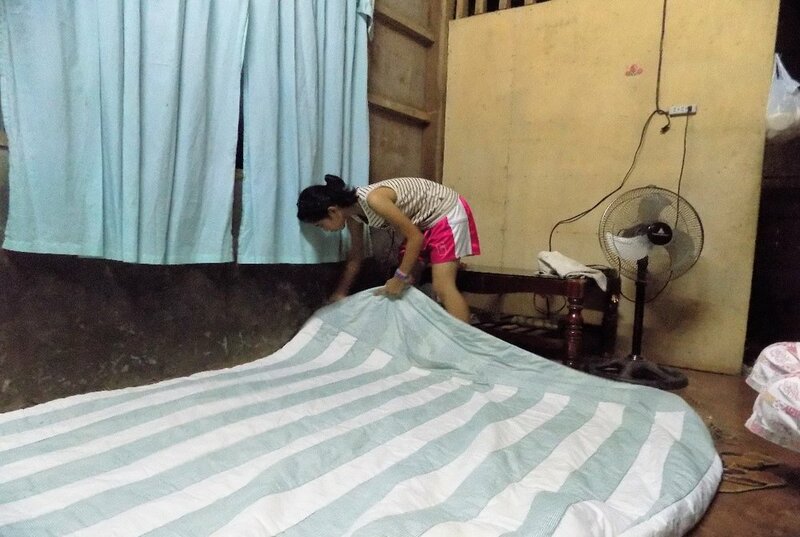 Kimberly is getting her bed ready to sleep.